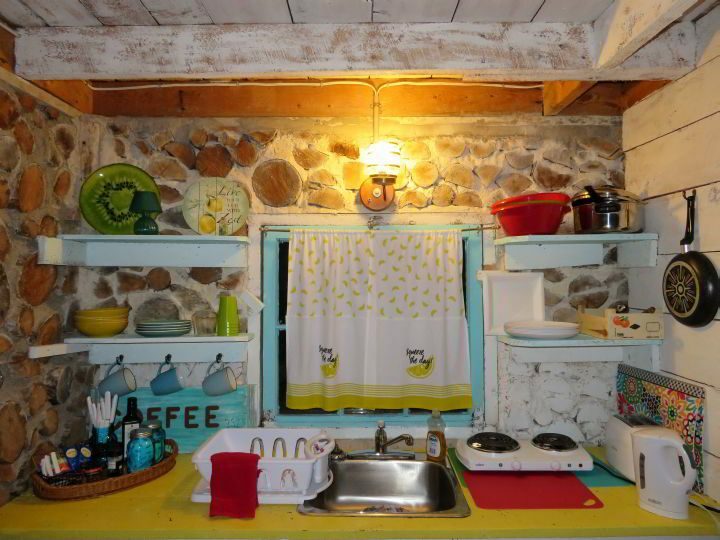 Cutest cottage on Cape Breton Island Nova Scotia could be yours for a few nights. If you’re lucky like me. A few people recommended that I visit Ingonish during my visit to Cape Breton Island from mainland Nova Scotia. From bartenders to RCMP officers, for real! Seriously, I received Cape Breton travel recommendations from an RCMP officer at Crescent Beach. Only in Nova Scotia, eh! 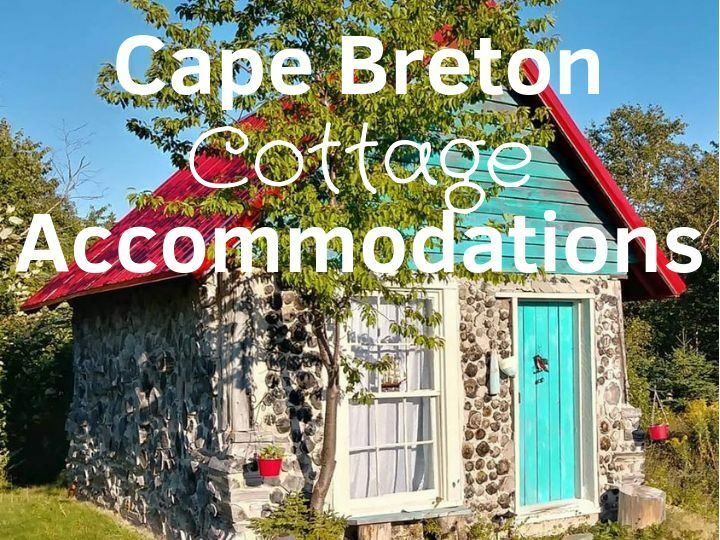 Looking for Cape Breton accommodations for my weekend solo road trip in September I wanted someplace around Ingonish and I knew I would be doing some hiking in the area. I didn’t mind if it was a hotel or a private rental. My budget was around $100 USD (around $125 CAD) per night maximum and one place caught my eye right away. Cape Breton tourist season is during the summer and early fall. Once the colorful leaves are gone so are the tourists. So high season is basically from the end of June through early September. I looked for something in mid-September hoping to avoid the bigger crowds of tourists and hopefully pay a lower rental fee. Where did you find the hobbit house?! 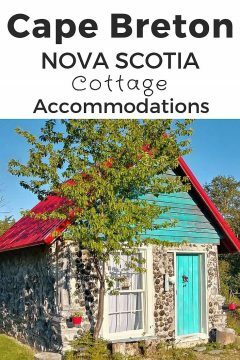 So many people asked me about my Cape Breton accommodations after I posted a picture of this cute little cabin on Cape Breton Island on my Instagram and shared it on Solo Trips And Tips Facebook page. I stayed here a couple of nights while visiting Cape Breton Island in Nova Scotia and it was a perfect fit for my travel needs. Everyone seemed to think it could be a perfect fit for their trip to Cape Breton too! Followers sent me messages via Facebook, and Instagram, commented on my posts in Facebook, wrote me emails asking for more info about this adorable little house for rent in the beach town Ingonish. I promised to get some photos from my camera later. I didn’t have any pics of the inside of the cottage on my phone, so I had to sort through hundreds of photos from my camera to find these photos. Luckily, I do have a pretty good system for keeping track of my photos. My OCD does come in handy sometimes! 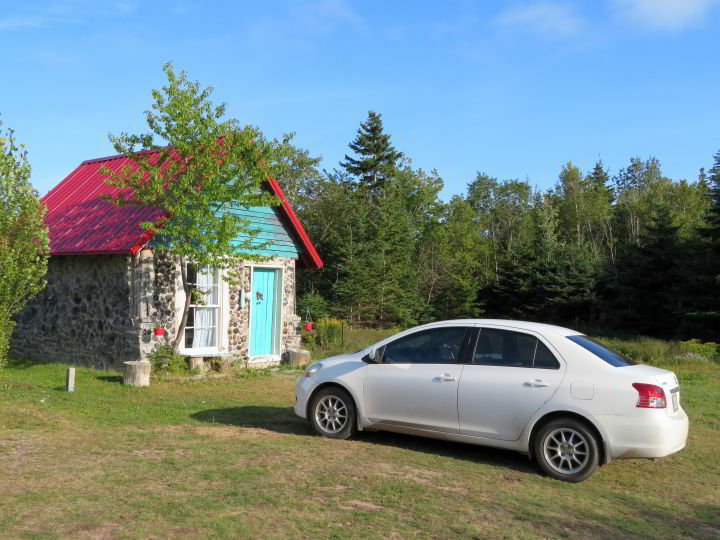 Cute cabin on the Cabot Trail in Cape Breton and short drive to a beach?! HELLO, I think I LOVE you!!! Truthfully, I didn’t choose this place for the easy access to the beach, rather the proximity to the Cape Breton Highlands National Park is what caught my attention. I also love beach walks. For some wonderful beaches to enjoy a winter vacation check out my St Augustine Florida Beaches blog post. So, hiking and beach walks in a small town in a region of Canada known for outstanding hospitality and stunning coastal views, and fresh seafood?! A huge WIN for me and my vacation plans began to take shape. When I found out this smashingly sweet abode was only 1.6 km (1 mile) from Broad Cove Mountain Trail in the Cape Breton Highlands with panoramic views to the Atlantic Ocean I knew I made the right choice. Some people prefer hotels and regular bed and breakfast accommodations for their vacations all the time. I get it. And I often use Booking.com to arrange my travels, such as my 6-day road trip from Calgary to Nova Scotia. Sea Breeze Cottages is a couple miles from Ingonish Beach and close to a bunch of hiking trails. Guests rate these cottage accommodations “excellent” and enjoy the fully equipped kitchen as well as nearby restaurants. Seascape Coastal Retreat is an adults only location along the Cabot Trail. This property consistently receives top ratings from guests, exceptional lodgings for you stay in Ingonish. Salty Rose’s and the Periwinkle Cafe is located in the town of Ingonish. Although I didn’t stay here I enjoyed eating at the cafe, excellent food! Guests at Salty Rose’s rate their stay “excellent” and comment “super comfortable” and “super friendly” so it’s on my list for next visit to Cape Breton. Auld Farm Inn B&B is a farmhouse bed and breakfast located in Baddeck, a great location to begin exploring Cape Breton. You will find Alexander Graham Bell Museum, Bell Bay Golf Course, and Cabot Trail close by. Cape Breton Villas gets top ratings from guests who love this new lodging choice in Cape Breton. Check out the amazing list of amenities including a fitness center. Cheticamp Outback Inn receives exceptional ratings from guests of these newly renovated rooms. The location is close to the Cape Breton Highlands and features mountain views. HI Cabot Trail Hostel features 3 private rooms and a 10-bed dorm. Although I haven’t stayed at this location I’ve had great experiences staying at HI Hostels before. This location is excellent for hiking, whale watching, and enjoying nature. MacLeod Inn is top-rated for lodgings in Inverness Cape Breton for a quiet and relaxing setting with spacious rooms and free breakfast. I booked this tiny house via Airbnb. If you haven’t yet signed up for Airbnb use my link here to get a discount on your first stay (reservation must be for over $75 to receive this discount) and explore your next vacation. It could be a weekend getaway close to home or it could be this adorable turquoise hobbit home with a bright red rooftop. 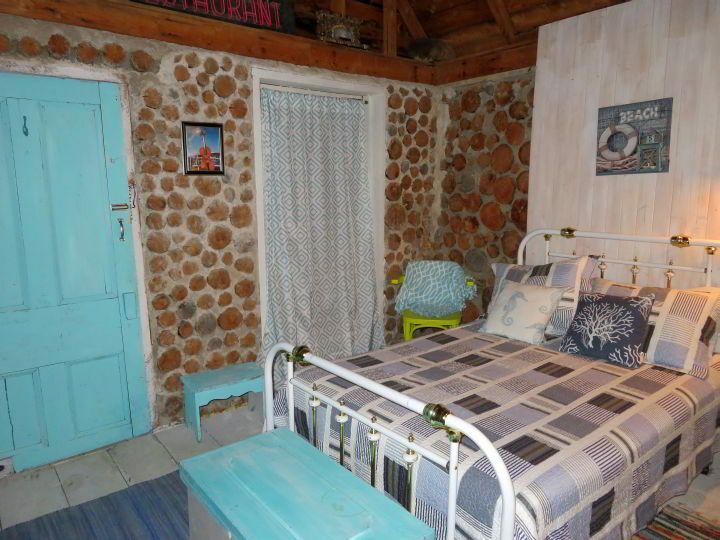 Here is the link to the Airbnb page for this super cute cottage. Do you want to be an Airbnb host? Click here to sign up and get all the details. Could be a cool gig and earn you some extra $$$ for YOUR next vacation. Or you know, beer money. It’s all good. Here are my best tips for booking your accommodation with Airbnb. It can be time consuming sifting through all the results on Airbnb but it’s worth it to find just the right place to suit your needs. You don’t want to be the one that books a place like my cute little cabin and NOT notice that the shower is a 50-meter walk away. You have to review the info make sure it meets YOUR needs. I can do shared shower or shared bathroom, but some people would be freaked out by any sort of shared arrangement. My shared accommodation in Lafayette Louisiana was the BEST Airbnb experience. Me and two musician dudes sharing a house in downtown Lafayette, who knew we would be great roommates?! Anyhow, that’s a whole ‘nutha blog post about why you should sometimes book shared accommodation with Airbnb. 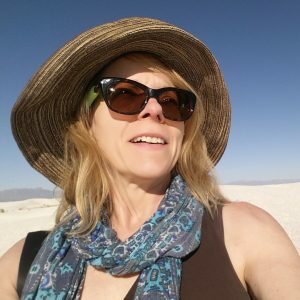 Back to my Airbnb booking tips…. Sometimes I read ALL of the reviews for an Airbnb listing. This is important because you can’t rely on 1 or 5 or even 10 reviews. The fewer reviews, the higher the risk that you could have a crappy Airbnb stay. You don’t need that in your life. You want to know that you have a great place booked and you want to be able to look forward to staying there. Pay attention to the Host response if the reviewer leaves a complaint or recommendation. This can be very telling as to how your host will handle any future difficulties. I want someone that is fair, responsive, and polite. Be wary of any listings on Airbnb with the notifications (in the review section) that show “The host Canceled this booking x days before arrival.” Gets my eyebrows raised every time I see this on Airbnb. I don’t need any last-minute cancellations in my life, especially for a vacation! It could be a legit emergency arose and the host had to cancel the reservation. Or it could be that host is a selfish jerk that doesn’t really care about their guests. But you can’t tell because Airbnb doesn’t allow the host to explain the situation in the review section. It could be the person that booked the reservation asked the host to cancel and a newbie host might go ahead and do this favor for someone. Not realizing it leaves a huge negative mark on their listing. When the person booking an Airbnb stay cancels, even if the cancellation policy is flexible, Airbnb will charge the service fee. Unsuspecting newbie hosts don’t realize that the “host canceled this booking x days before arrival” message will be posted on their listing for everyone else to see. Click on the photo of the host to read their blurb and other folks reviews about the host. I have seen hosts explain the last-minute cancellation type of situation in their “About me” section. This is also where you can find out a little about your host and get a feel for whether you will enjoy staying at their Airbnb. Pay attention to the ‘Response Rate’ percentage. A good response rate is 90 to 100. If you see a response rate of 60% it could be a sign that you’ll have a difficult time getting any answers from your host if you have any issues during your stay. Look at the map of the area and the red circle outlining the general area for the location of the listing. Sometimes the host will give exact location details in the description of the place, such as ‘across the street from blah-blah restaurant’ or bakery, cafe, etc. Then you can look up the exact neighborhood and find out what is close by the Airbnb. Otherwise you need to rely on the red circle to indicate the general location within the neighborhood. You need to feel safe, secure, and comfortable wherever you decide to stay. Read ALL of the ‘Policies’ which includes ‘House Rules’ and the ‘Cancellations’ and make sure you understand them. If you have any questions or concerns, contact the host by clicking the “Contact Host” link or button. If you have any questions or concerns about using Airbnb leave a comment below. Basically I’ve been living out of Airbnb places for three years now, living a location independent lifestyle. That is the cutest little cabin and it’s great it is so close to the trails and has a little kitchen area! 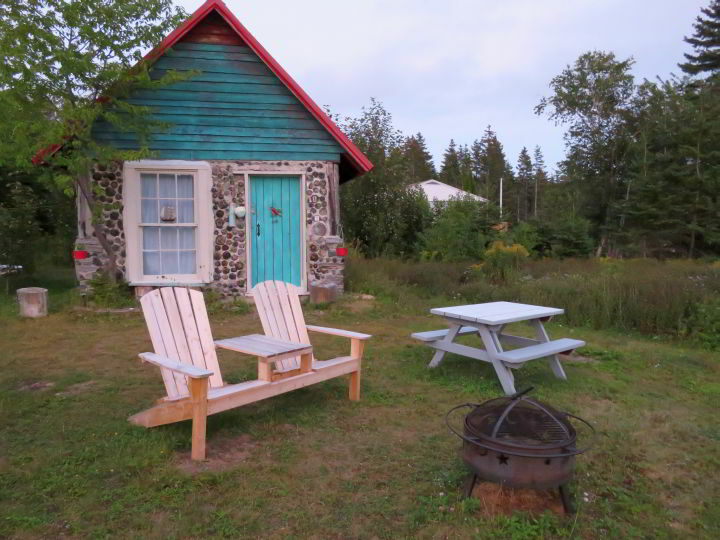 I loved being so close to the hiking trails and the beach, this cottage was such a great find! Omgg! It is definitely giving me weekend getaway vibes! I can’t wait until next summer ! What an adorable little cabin Susan. Plus bunnies. You cannot go wrong with both. Tough combo to top. Yes, the bunny was such a cutie. He paid little attention whenever I walked by him, just kept munching on the greens. 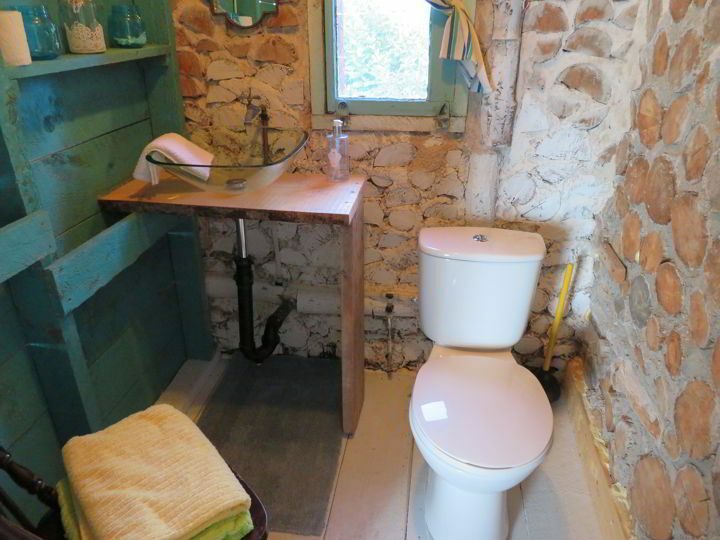 this looks so cute, totally a hobbit house – but where was the shower/bath? how far? The shower building is about 50 meters away, as I mentioned it’s not for everyone but I didn’t mind.